Wearing L'Oreal Infallible Lacquer Eyeliner in Espresso along my lashline and waterline. L'Oreal Infallible Lacquer Liners have been around for a while now, but for some reason, I have never bothered trying these out before. It's always been the Maybelline Gel liners for me. It was only when my local Target ran out of Maybelline liners that I was finally forced to buy this L'Oreal version. 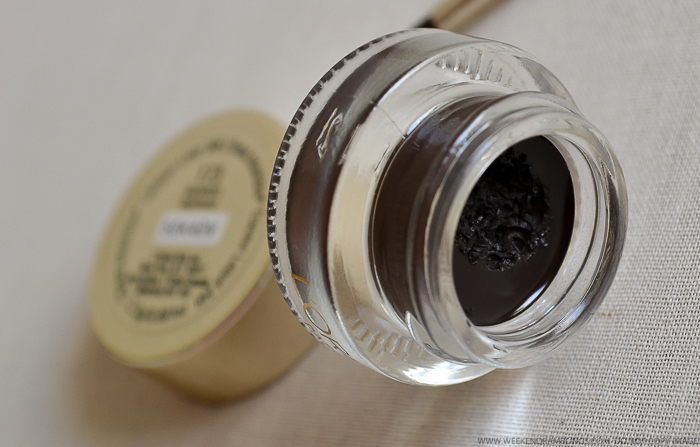 Of course, as it usually happens with most of my late discoveries, this is my current favorite eyeliner, and probably even one of my all-time favorites! Scroll on for photos, swatches, and more. The packaging on this one is no different from the tons of other drugstore and high-end gel eyeliners. 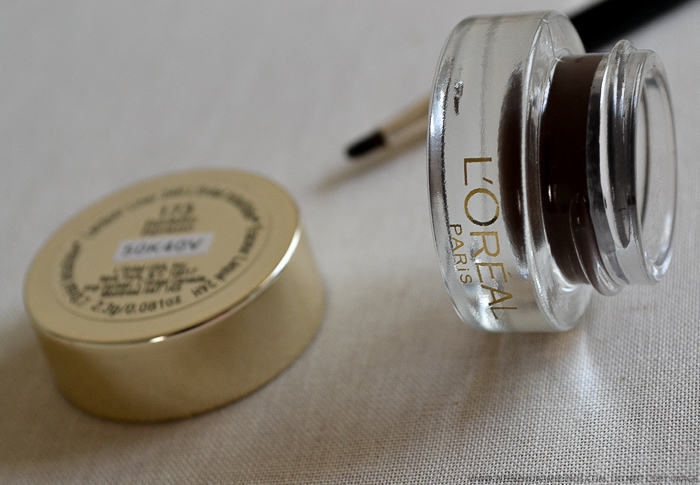 The L'Oreal Infallible Lacquer eyeliner too comes in a glass pot, and a brush is included in the package. Unlike the Maybelline gel liner brushes, though, this brush is nothing great. It seems flimsy and splays quite easily with use. It's still quite usable, but it has to be cleaned after every use, and overall I much prefer the Maybelline eyeliner brushes. On to the color, I have Espresso (173) which is a deep neutral brown. 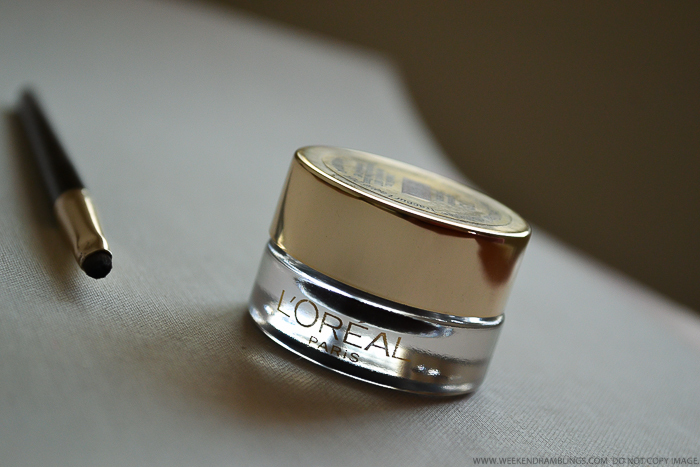 The consistency is quite creamy and glides quite easily on to the skin without any tugging or flaking. The finish dries down to an almost matte, though it does seem to look slightly glossy in my swatch. 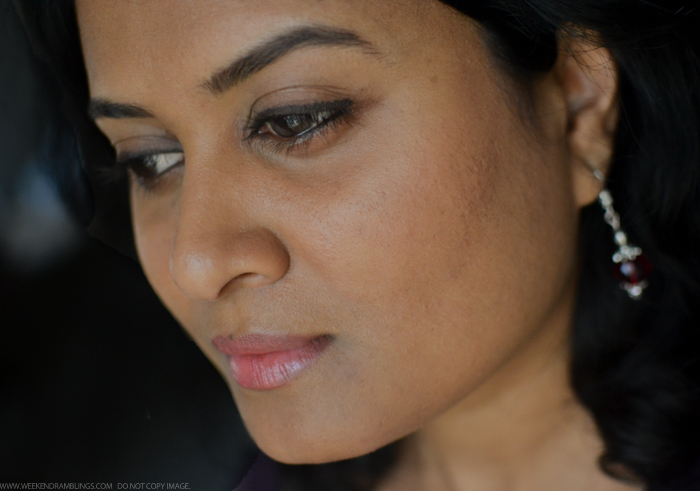 Here's a look at how the L'Oreal Infallible Lacquer Eyeliner in Espresso looks on my darker Indian skin. 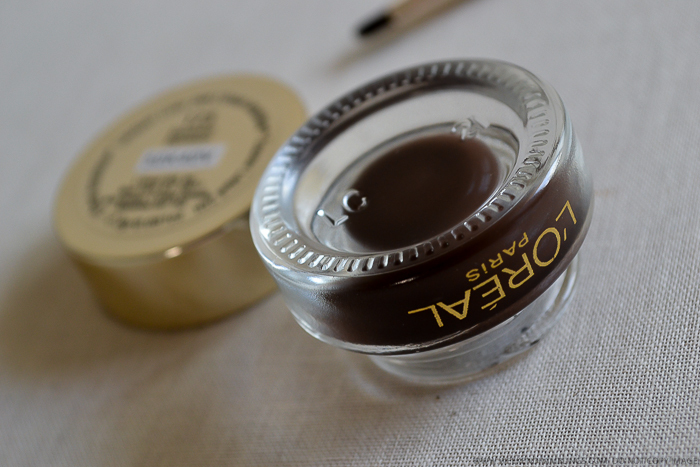 L'Oreal Infallible Lacquer Eyeliner in Espresso has quickly become one of my most-reached-for makeup products. I am pretty sure I have used this more than any other gel eyeliner. The color is just right for me - dark enough to be easily seen even on my darkish eyelids yet not as harsh as a black eyeliner can be. 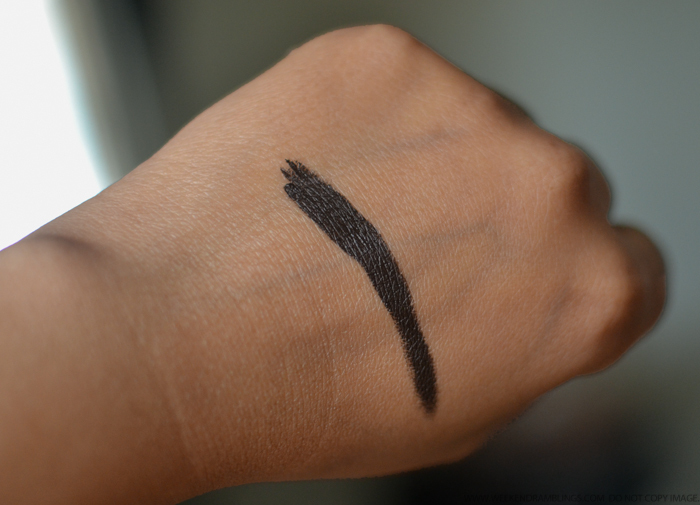 The liner is easy to apply, and it stays put the entire day (not tried out the 24H claim though). Because this is a creamy, non-shimmery color, I can also use this on my waterline without any irritation so far - stays on quite a long time too. 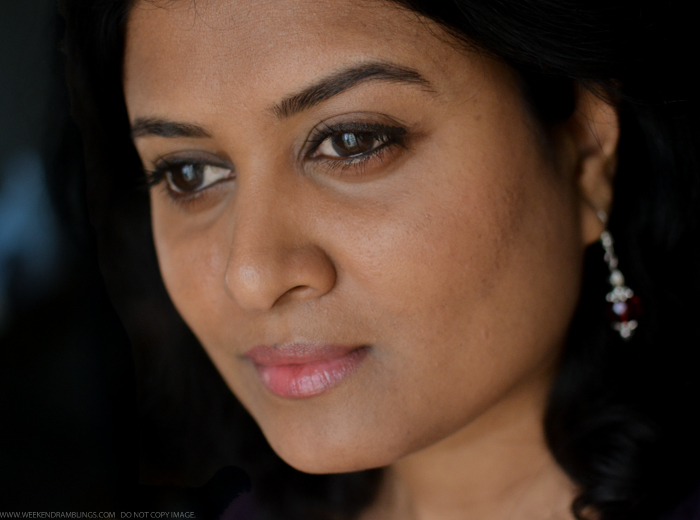 Do give this a try if you are on the lookout for an easy-to-use everyday eyeliner. PS: I amn't sure if this same product is available in India. I think the brown that is available is a warmer, shimmery brown (plus it's made in Korea, I think, and this one mentions Canada on the packaging). Hi Poorva..thank you :) I definitely must give the navy a try once..just waiting to finish my stockpile of eyeliner pencils.